We are thrilled to invite you to a Food and Wine Adventure in Northern Italy this Fall! • Arrival in Milan Malpensa Airport, where we will greet you with our luxury van. First stop, Franciacorta where the owners will host us for a winery visit and lunch. • Dinner and a two night stay in the historic Verona area. • Wine tasting day in Valpolicella! • Visit to THREE contrasting wineries to taste Valpolicella, Amarone and Ripasso wines for a full immersion experience. Lunch in Negrar. • Visit to one of the Veneto’s most famous bakeries – for a behind-the-scene tour and tasting. • Regionally focused dinner with wine pairings. • Tortelli making at a fabulous local restaurant. You’ll get hands on with the pasta making and then enjoy the fruits of your labor with wine at lunch. Then off to an afternoon walk in Verona, guided by Demet. Drive and Dinner in Modena, famous for its balsamic vinegar and sports cars – a two-night stay in Modena. • Visit to a Parmegiano Reggiano producer, and a Balsamic vinegar producer to taste the culinary jewels of the Emilia Romagna region. • Dinner in Modena on your own with our “Suggested Restaurants” list. • Visit to FICO Eataly world, the recently opened agri-food park in Bologna dedicated to artisanal foods of Italy, with fields, factories, animals and restaurants all in one place, with lunch. • Drive to Valdobbiadene – Dinner featuring local specialties before a two-night stay in the terraced hills of the Prosecco region. 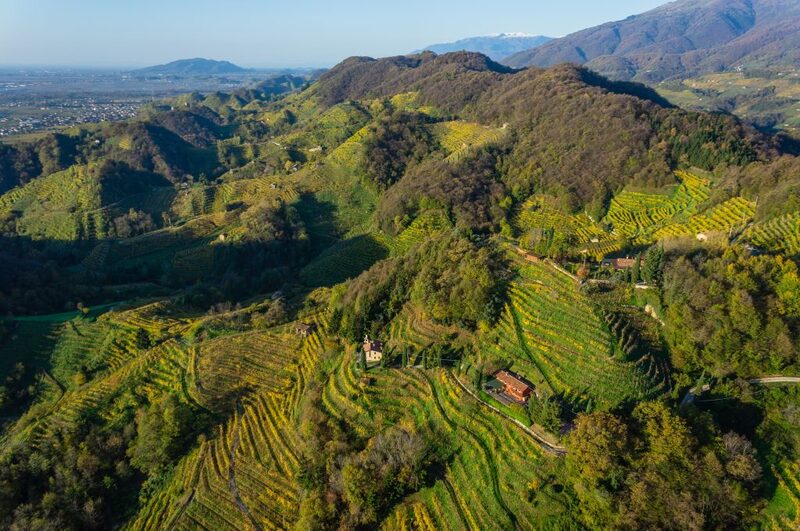 • Prosecco Tasting in Valdobbiadene and Conegliano, Prosecco superior hills, a UNESCO world heritage site for their magnificent landscape of vineyards. • Lunch with everyone’s favorite sparkler! An afternoon free for exploring, followed by dinner in a local trattoria with regional food and wine. • Drive to Venice, the capital of Veneto region, built on 100 small islands. • Free afternoon to explore and enjoy a light dinner in Venice on your own. • Departure from Venice airport. 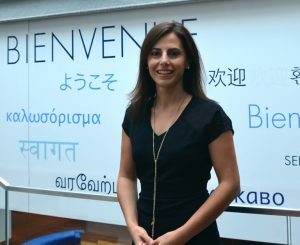 Demet Guzey writes about food history and culinary travel, lecture on Food Writing at Le Cordon Bleu in Paris, and teach Food and Culture at USAC Verona. She has a Ph.D. from University of Massachusetts, a Diploma in Gastronomy from University of Reims, and a Level 2 certificate from WSET (Wine & Spirit Education Trust). Demet lives with her husband in Verona Italy and hosts frequent courses in the area. Not only will you meet and learn with fascinating people in Italy, you’ll enjoy your fellow travelers. Trips in the past have included participants from all over the world, as well as Atlanta neighbors. 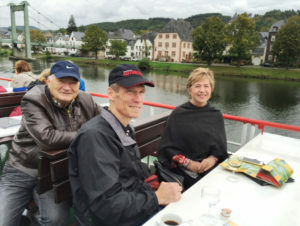 You may find new friends and certainly great travel companions in our group! If you’re in Atlanta, plan to attend our pre-trip Food and Wine Tasting to prepare you for the fun to come! Cost: $3,700 pp/double occupancy – $400 single supplement. Includes: Ground transportation, hotel rooms, all breakfasts, 5 dinners, 5 lunches, all winery visits, tastings, admission fees, etc. Deadline: $1,000 pp deposit due on commitment. If you sign up and submit your deposit by March1st – you will receive a $200pp discount.